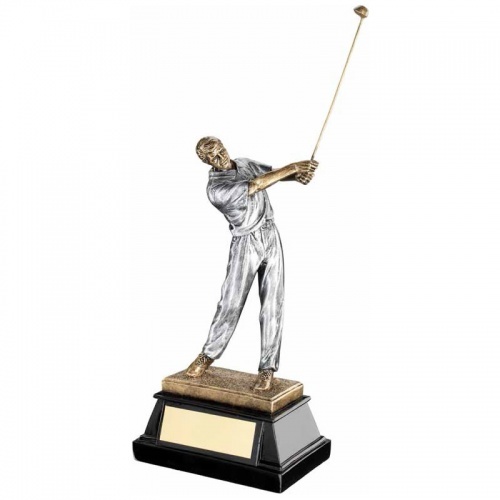 These resin golfer figure trophies are crafted in durable resin with a silver and bronze colour finish. They feature a detailed figure of a (male) golfer in 'follow through' pose. The figure is mounted on a plinth with engraving plaque. Available in three size options. Note - heights shown include the base but exclude the club.